Whoosh! A blazing ball of fire emerged into the darkness of the room. What, what happened? Was this part of the seance? She must have come too close to one of the candles while leaning towards the crystal ball. Or,… did she? She only remembers the sparks and a green light. And the feeling of warm jelly running over her skin. Naptha looks carefully at her reflection in the ball. 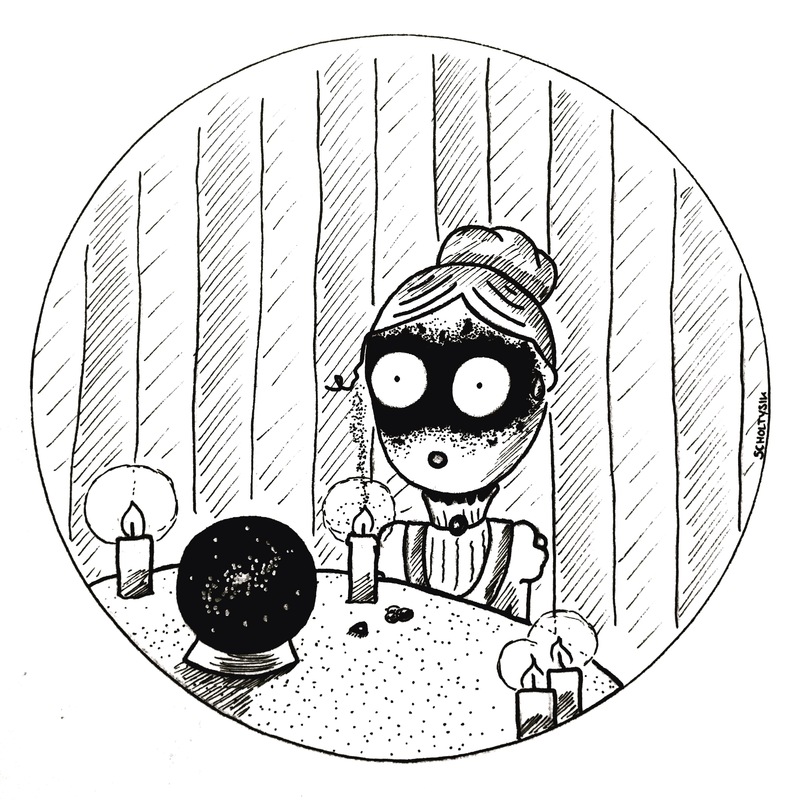 She shrieks at the sight of her scorched eyebrows and her soot blackened face. “Again? !”, a sigh. .